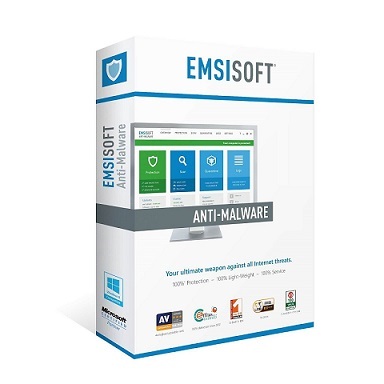 Emsisoft Anti-Malware is a wonderful protection against malware and viruses. This free download is a standalone installer of Emsisoft Anti-Malware for Windows 32-bit and 64-bit. Unlike other antivirus and anti-malware solutions, Emsisoft provides a very reliable anti-malware solution with a live community from where you can come across the problems of a whole community along with their solutions. So if the same problems come to you, you can easily deal it. The most wonderful feature of this tool is its dealing with other applications and their blocking. It can block various hacking application like keylogging tools, browser hijackers, and the spyware programs which try to install anything without your permission. It has different scanning modes, you can perform any kind of scan based on the problem you are facing including intelligent scanning and more. Each scan performs an update check to update the definitions. This update can detect all the very recent viruses. 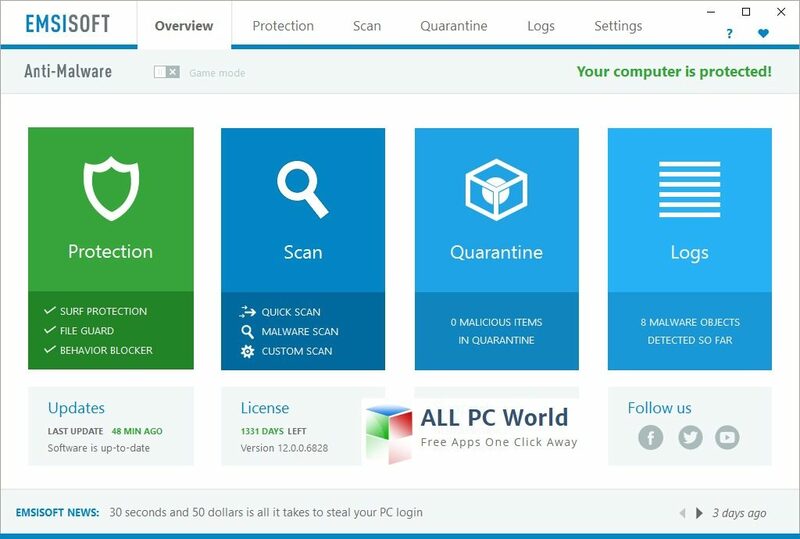 It is a very lightweight and user-friendly tool which can provide an ultimate level of protection for your computer. Click the below link to download the standalone setup of Emsisoft Anti-Malware for Windows x86 and x64 architecture. It is can protect all the new and older Windows releases.